At the conclusion of 2014 I discussed how there were a good chunk of movies I wanted to see from the year. I haven't seen all of them, but managed to view an assortment and shall now share my thoughts in alphabetical order, as I did the first time. This movie actually surprised me in that it took it as long as it did to start getting violent and action-packed. The extended time in which we see Denzel's quiet life on the screen gives everything a strange kind of sad calm, with it becoming all the more jarring when he starts killing people to protect a prostitute he forms a friendship with--and then finds those actions attract all sorts of angry characters. Denzel's character comes off as a bit of a Mary Sue, skilled at single-handedly taking down any threat he faces, only seeming to really break a sweat during a surreal finale where he rigs a hardware store full of traps between his fighting with the gangsters after him. 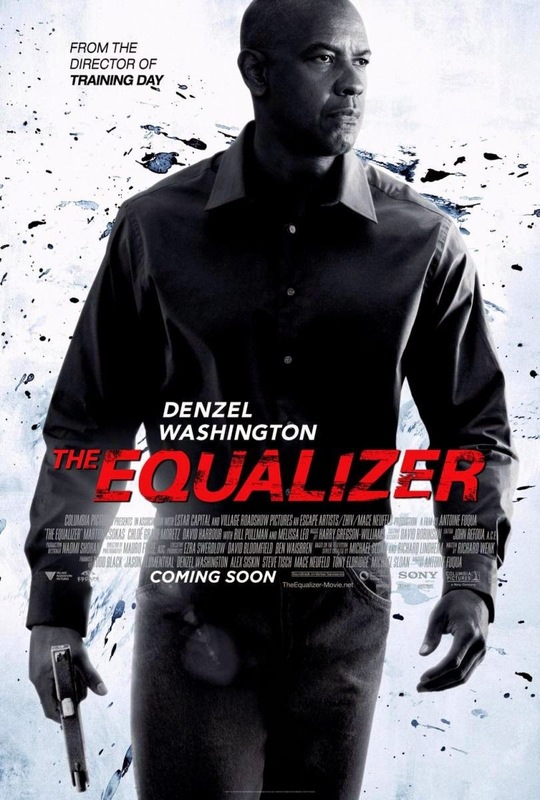 Anton Fuqua has of course worked with Denzel before ("Training Day," for one example) and their familiarity and comfort with one another helps result in Denzel giving an even-more-excellent-than-usual performance, alternating between icy-calm and red-hot rage. A solidly good time, with the superb acting and Fuqua's stellar cinematography for the action helping elevate this beyond a standard action-movie. Well, that was extremely interesting. A number of people have not yet seen this movie, which is perfectly okay as I took awhile to see it myself. It's just there is a big twist about an hour into the flick and as I did not have this this plot element spoiled for me and greatly appreciated it I would like to spare anyone still planning to see the movie having it ruined for them. What I can say, is that the acting is stellar, with Tyler Perry even doing a great job (and I've expressed concern about his moral-messaging in his work before, so perhaps the key is to just get him acting instead of writing and directing). Ben Affleck portrays the husband and Rosamund Pike is the wife. We learn a lot about their relationship through her journal entries, and what starts as a fairy-tale romance clearly begins to show concerning issues until we arrive at the present and are left wondering if the wife suddenly going missing is Affleck's fault or not. Characters come into the film and out of it at various points, such as the aforementioned Tyler Perry as a famous defense lawyer and Neil Patrick Harris as an extremely creepy ex-boyfriend of Pike's character who does a great job making me feel uncomfortable anytime he appears on-screen. I found myself at the edge of my seat throughout the film as all the shocking revelations came at us with lightning speed and by the end of the flick I was dumbfounded at how insane it all was. 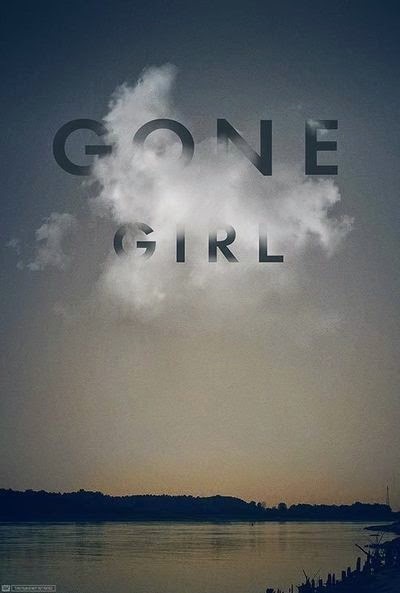 A stellar movie that shows David Fincher may direct some movies people hate ("Benjamin Button" "The Girl with the Dragon Tattoo) but that he still can make something stellar (like "Fight Club"). You can actually take a lot of what I say about "The Equalizer" and transfer it to "John Wick". A hero who lost his wife, lives a quiet life, and finds himself returning to violence. In this case however it is clear that Wick once was a very bad man who became better, and that brings with it some interesting elements. 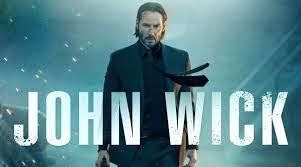 "John Wick" gets to the action a bit faster than "The Equalizer" and has a bit more humor in it, but both are solid films. I really like Keanu Reeves as I often read how he is a very nice guy, and despite criticisms of his acting I feel he emotes plenty, with the few scenes where his character discusses the pain of losing his wife showing the hurt behind Reeves' character. Another great action movie. I liked this, but God was it bizarre. 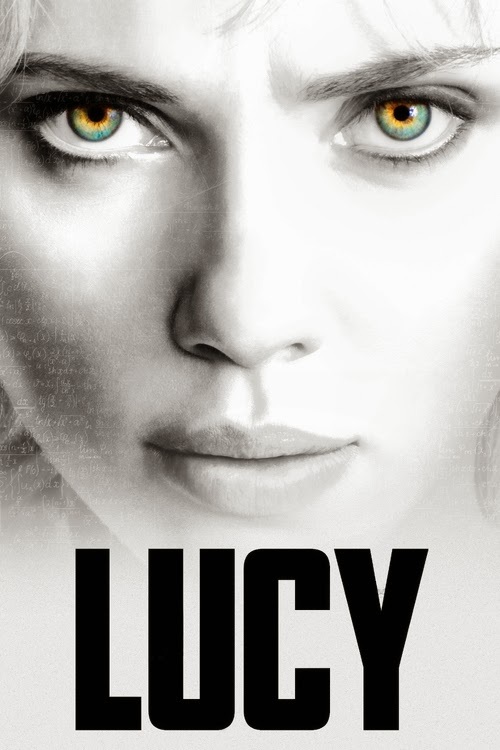 Sometimes funny, sometimes violent, and often entirely based on fake-science, "Lucy" features Scarlet Johansson basically becoming a super-hero as she gains more and more powers to the point she is an unstoppable force. This film is full of plot holes (so who did her boyfriend even get those drugs from at the start of the movie she was forced to deliver? How come no one else has tried taking a massive dose like her? And countless more questions abound), everyone is mad it makes up more science than it uses, and the ending is a bit of a disappointment, but I still had fun. At the end of the day if you want some dumb fun, this is worth checking out. That is all so far of the movies I had said I really wanted to see, although I definitely do plan on viewing "Birdman", "Nightcrawler" and others I discussed in the future.